So as not to destroy the factory hood for future use, I purchased an aftermarket steel replacement hood from CertiFit.com, a National Auto Body parts supplier. 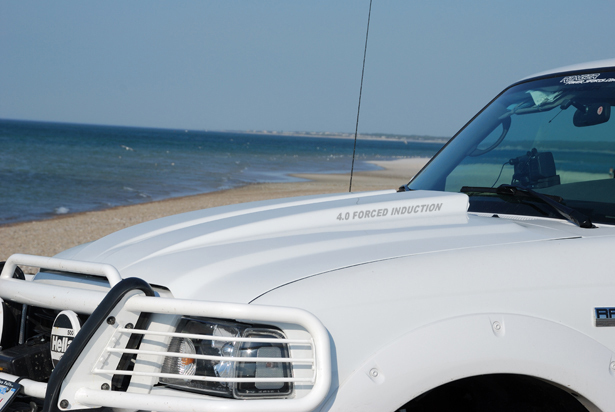 I then researched and purchased a steel cowl induction scoop made for a '93 - '97 Ranger and adapted it to the '07 hood. I purchased it from www.truckn.com, a supplier of suspension parts and accessories in Mesa, AZ. 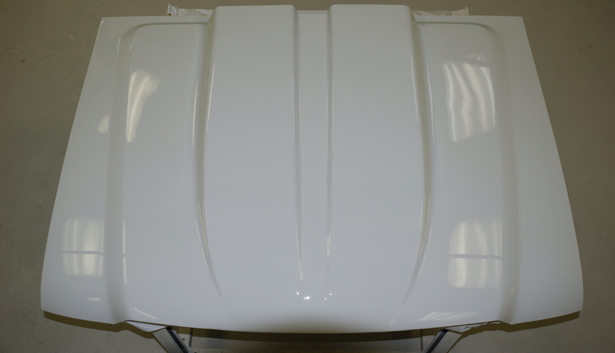 I traced the shape of the scoop onto the hood and cut out a 24" square section of the hood within the confines of the scoop template. 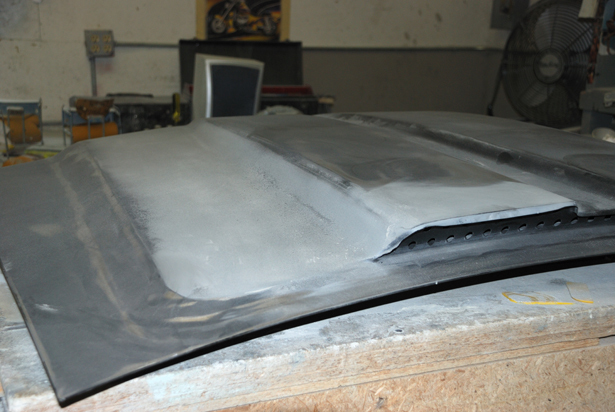 I then drilled, bonded and pop riveted the scoop onto the hood. After the bonding adhesive setup, I ground the edges down to make the transition smoother. 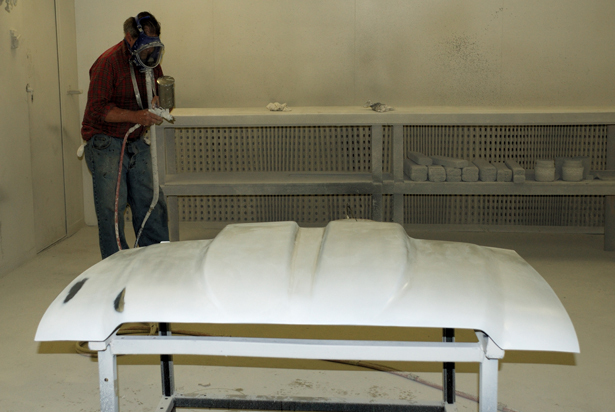 In comes Paul Wagner, our prep and paint guy at work - Paul has the Master's touch with plastic filler. 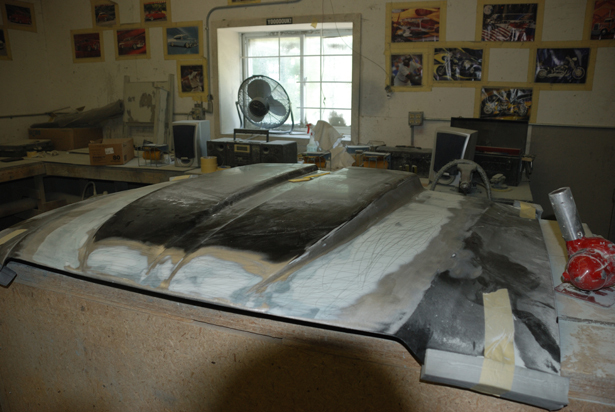 He recommended MarLite fiberglass reinforced filler putty due the vibration and heat the hood will endure. 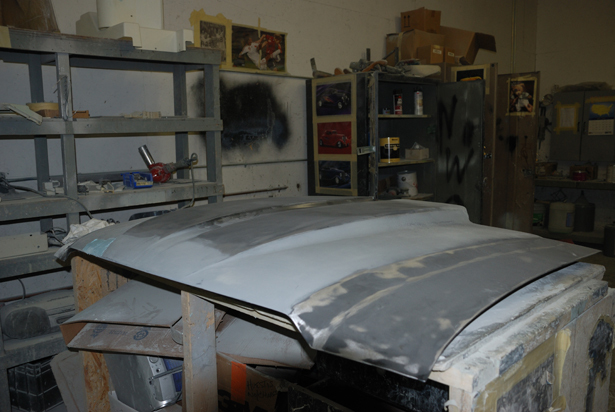 He spent about a day and a half filling and sanding until the hood looked like it was a one piece cowl induction hood. I cut the hole approximately 24" X 24"... should yield plenty of air. It has a double hump look due to the center groove! 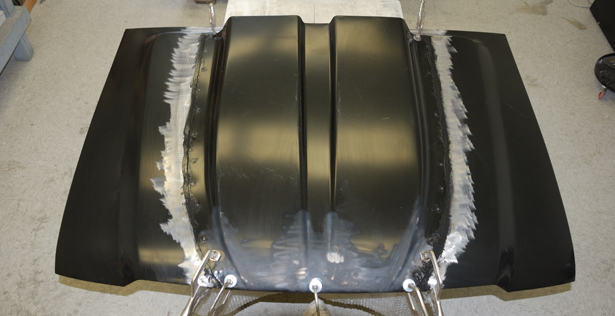 The '93 - '97 scoop had a slightly different contour... we fixed that! Primed around hole... can't get to that later! Scoop rear baffle bonded into place and ready for trimming and fitting. 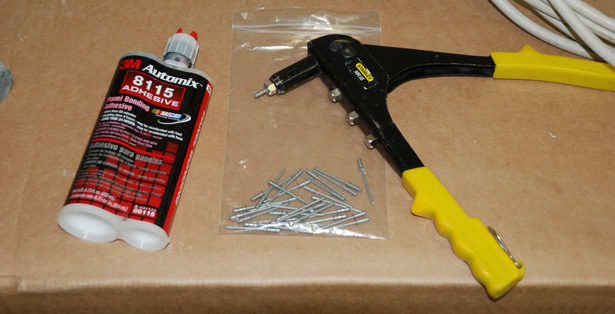 I used 3M "8115 Panel Bonding Adhesive" and pop-rivets! Edges & rivets smoothed and ground down... ready for mud! 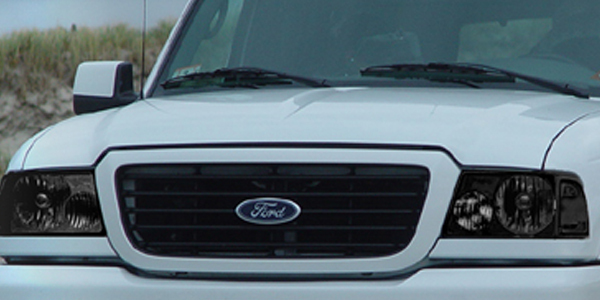 the filler has fine fiberglass strands in it to make it withstand the hood's vibrations. Paul getting ready for the final coat of primer/sealer. Looks much better white, even if it is primer! Scoop has a built in baffle for leaves, varmints, etc. A little vinyl lettering from "Signs by Tommorrow" in Norton, MA! 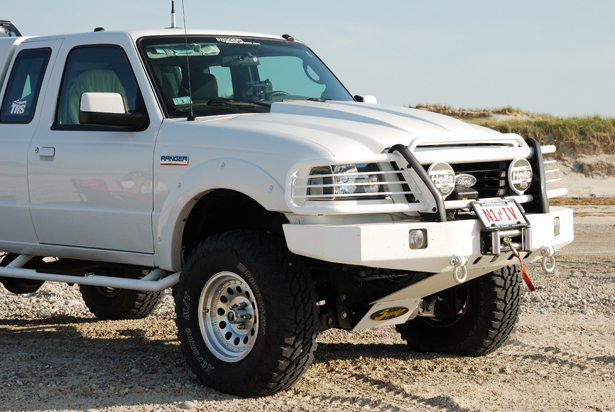 It gives the truck a little bit more aggressive look!